Online store of your dreams: a ready template or an individual design? Bright and unique or discreet and linear - which design is right for your site? If you need to make a choice between a template solution or an individual design, all the pros and cons are found in this article. 1 option. Template design of the online store. 2 option. Online store with an individual design. 3 option. Online store with individual design of some pages. How do we design an individualized online store? Today it is practically impossible to conduct business effectively without using the Internet. Even freelancers alone try to create their own business cards, so that information about their services is available to as many potential customers as possible. What can we say about large enterprises? Each of them is simply obliged to establish its own trading platform on the Internet, the online store (catalog) and the earlier, the better, because otherwise, such a business by default already loses to its competitors. Even if you occupy a very small niche, and all the key production processes taking place in your organization are limited to offline mode, it still makes sense to start selling your products via the Internet. After all, it will allow you to gain access to an audience of tens of millions of people, while the usual "physical" outlet located in a rented room at best will attract 1% of those people who live nearby or pass by, returning from work. The need for an online store is obvious. But how to get an effective online market, attendance of which will grow daily? After all, if your site is located, say, on the tenth page of the SERP for important key queries, then nobody will know about it. To do this, you need to choose the right platform for creating an online store, already adapted for further promotion, as it means "SEO-store" from the company NeoSeo. It is inexpensive and standardized, already sharpened for all kinds of devices, adaptive design of the Internet store, available to all our customers when buying an "SEO store" by default. It is reliable, efficient enough, fast (we recruit from 95 to 99 points on Google PageSpeed), developed by all the rules of convenience for the UX-UI user. Its only drawback is the lack of individuality. Choosing it, you get a simple "workhorse", which is already used by dozens of our Clients. This does not mean that it always looks the same: you as a user with the help of the administrative panel can change the appearance of the site in accordance with their preferences. It is possible to change the colors of the buttons, backgrounds, the layout of menus, sections and functional elements. And it's quite easy. See for yourself, go to the admin section at https://demo.neoseo.com.ua/admin/ and select: Add-ons - Modules - NeoSeo Unistor. Change the values of the parameters and see how everything simply changes on the front-end (picture). Option 2. Online store with an individual design. Here we mean the development of a unique, unique design for your future site, which is drawn taking into account all the needs and characteristics of your business and your target audience. The individual design of the online store provides for the drawing of 22 pages of the online store, which allows to fully reveal its individual features, show its style, makes the portal much more competitive, as it improves the presentation quality of products and business in general. Thanks to him, you are guaranteed to attract more interest of the target audience, leaving in memory the bright image of the Internet store. During the development of individual design, special attention is paid to marketing aspects, which allows immediately after a full-fledged launch of the site to achieve rapid sales growth due to a rather high percentage of users' conversion to customers. An important point is the creation of a memorable corporate identity, if it is not already available. This includes both the logo and the favicon, which will attract users first and tell you about potential customers. In this case, the Customer takes as a basis our ready-made solution, but in order to give the online store an individual person, we can draw individual, most important pages (for example, Main, Goods Card) and stylize the corporate colors of the remaining pages, thus getting on output a compromise solution for the cost of the project. But which option is better? The answer to this question you will find below. Of course, each case is unique, and it must be considered separately. If you want to save at the initial stage, feel free to choose a template solution. Many of our clients do so: first they build a circle of regular customers using a template store, and after reaching a certain level of sales, they switch to individual design. Of course, there are many ready-made "blanks" for online stores, developed by different IT companies. Why is it better to choose NeoSeo web studio products? First defect. Poor build quality and layout. Very often, templates are drawn, then unqualified specialists from India and China are programmed and trained, who do not understand the classes and styles very well, make the code very heavy. As a result, when you fill a site with at least 1000 products, you will see that the online store is slow, its pages load for a long time even at an excellent connection speed. But on the demo version - yes, they are beautiful and loaded in a matter of seconds! 2 nd drawback. Extremely meager and limited functionality of such templates, which is almost impossible to expand the existing modules on the market. On the purity of the code and do not have to say, often everything is written "crutches", so that at least somehow worked when the buyer tests the demo version. In practice, however, this is fraught with very expensive modifications, because trying to bring the "door" to working condition, you will fall off the "chimney", which requires additional work of the programmer, and, accordingly, and payment for his watch. 3rd defect. 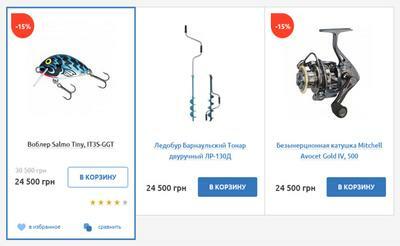 Sold and forgotten, very often there is no technical and information support for Russian-language templates for the Internet store on the part of developers, the answers can be waiting for weeks, which, of course, is no good. You will lose more time and nerve cells than satisfaction from saving $ 100. Our template stores are deprived of all these shortcomings and excellently cope with their tasks, and support is answered throughout the day! But if you want to achieve the most effective sales, then, of course, we recommend that you order only the best design of the online store, that is - individual (options 2 and 3). layout on the approved layout. At the design stage, the scheme of harmonious placement of text blocks and graphic elements is carefully studied. Due to the correctly chosen model of the mutual arrangement of visual components, the site becomes as user-friendly as possible: the information presented on the pages is easily perceived. Therefore, even if a person first appears in the online store, he easily finds the goods he needs and understands what actions need to be taken to place an order. During the styling of the interface, a complex of unique images, icons, virtual buttons is developed, from which the unique integral appearance of your web resource is then formed. Thus, the site becomes recognizable even for certain details: it has its own characteristic graphic "handwriting." That is, even one component of the interface can be immediately determined that this is your store, and not someone else's. This works exactly the same as when people are always recognizing, for example, a popular social network in the form of "like" or the appearance of the message board. Due to the totality of such features, the integrity of the overall picture is formed. Organic and simple in everything - this is the quality that the best designs of online stores always differ from ordinary solutions. As you can see, individual design has many advantages, in comparison with a typical ready-made solution. But the standard solution (template) also has a place to be under certain conditions, including. if you have a very simple product and very undemanding to the appearance of the site of the audience. Therefore, in each case, you need to weigh all the pros and cons, and if you need advice - welcome, we are always at your service! What role does the design and choice of CMS have in creating an online store? What role the design and choice of CMS have in creating an online store?